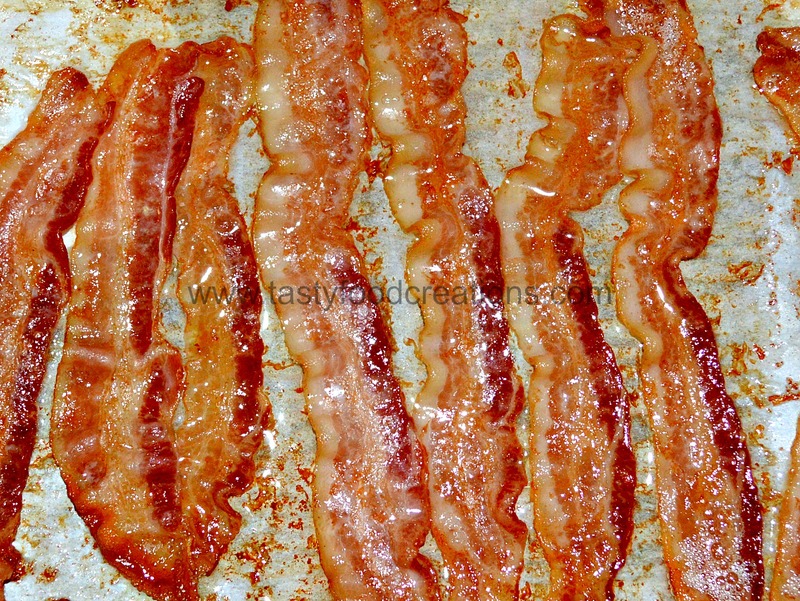 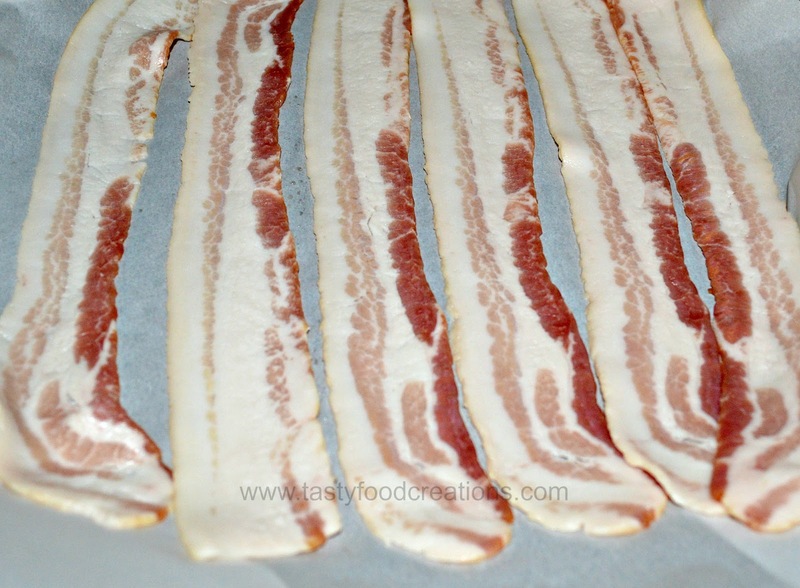 Cook bacon in preheated oven for 15 - 20 minutes. 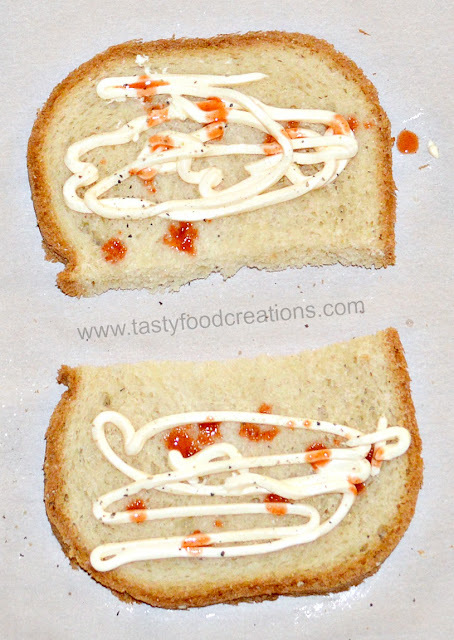 Spread 1/2 tbsp. 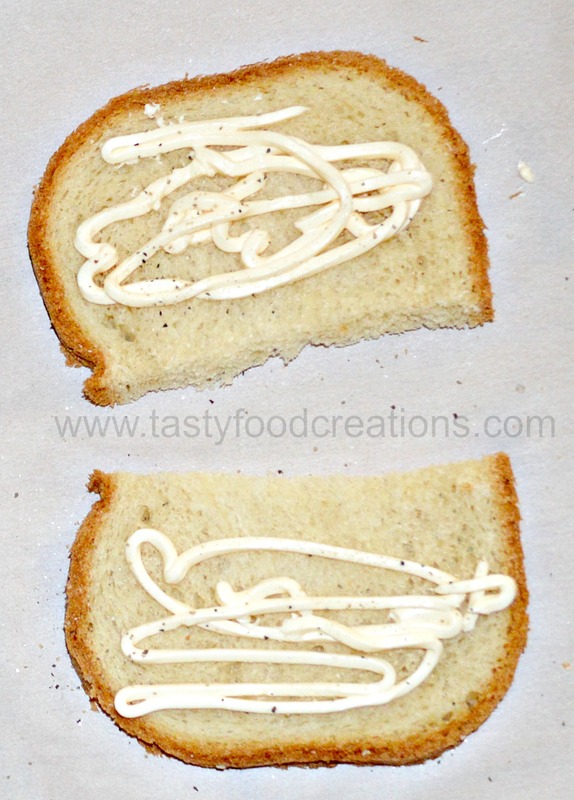 of mayo on each outside of the toast. Spread 1/2 tbsp. of mayo on each inside of the toast. 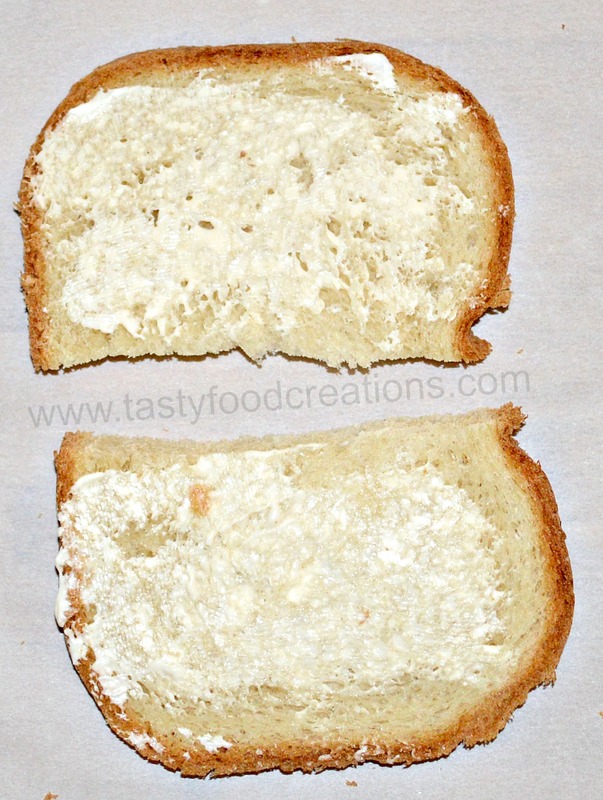 Drizzle 1/2 tsp. of hot sauce on each side. 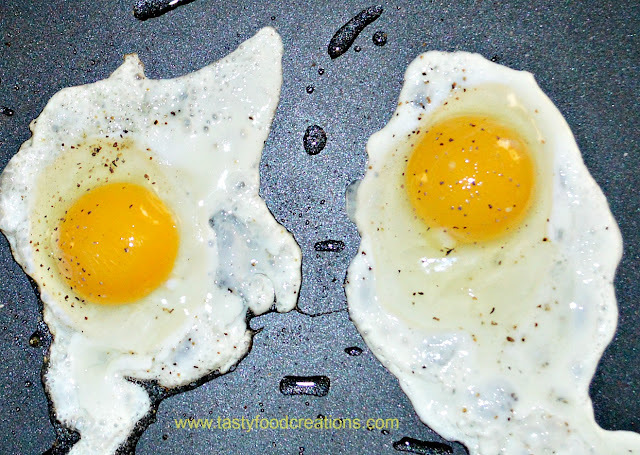 Fry eggs sunny side up. Season with salt and pepper to taste. 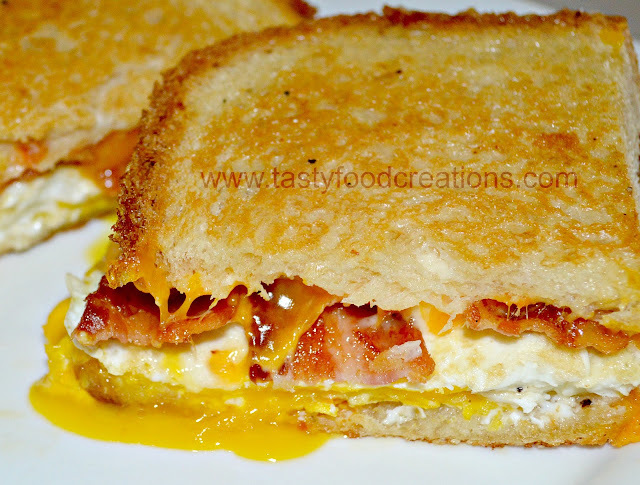 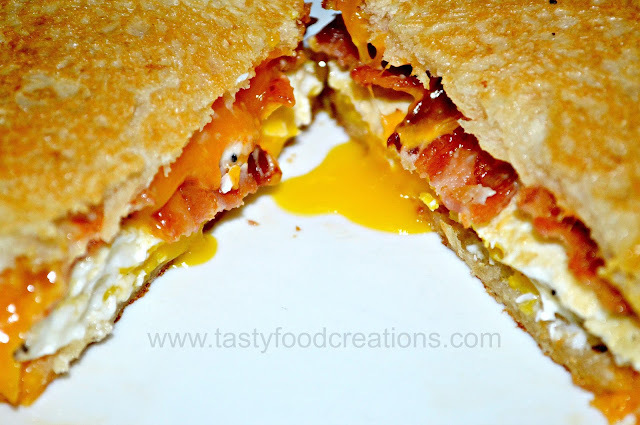 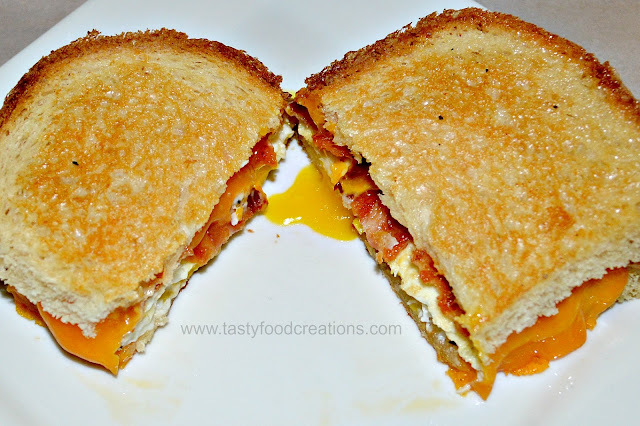 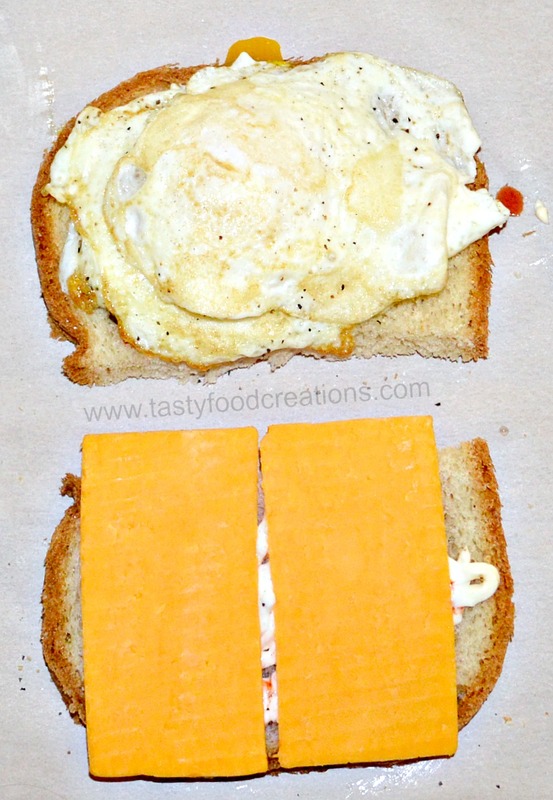 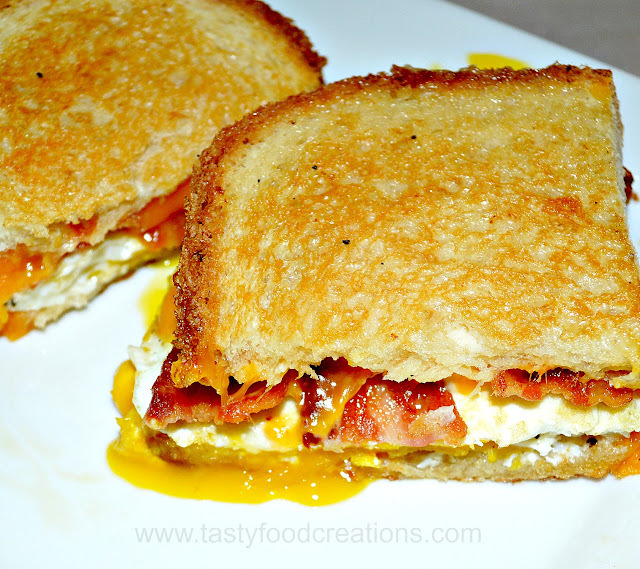 Top one side of toast with two fried eggs, and top the other side of toast with 2 slices of cheese. 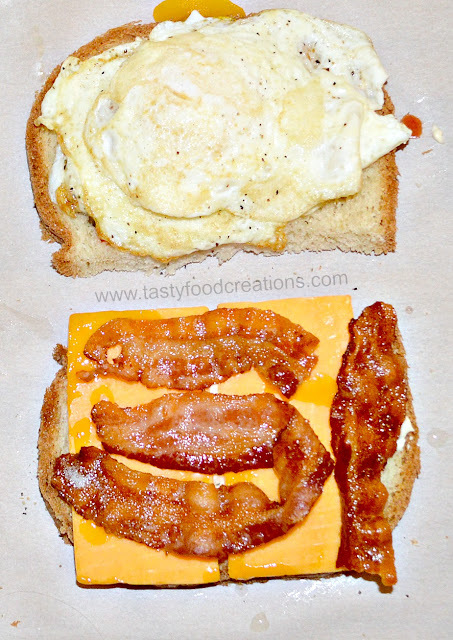 Top one side with two slices of bacon. 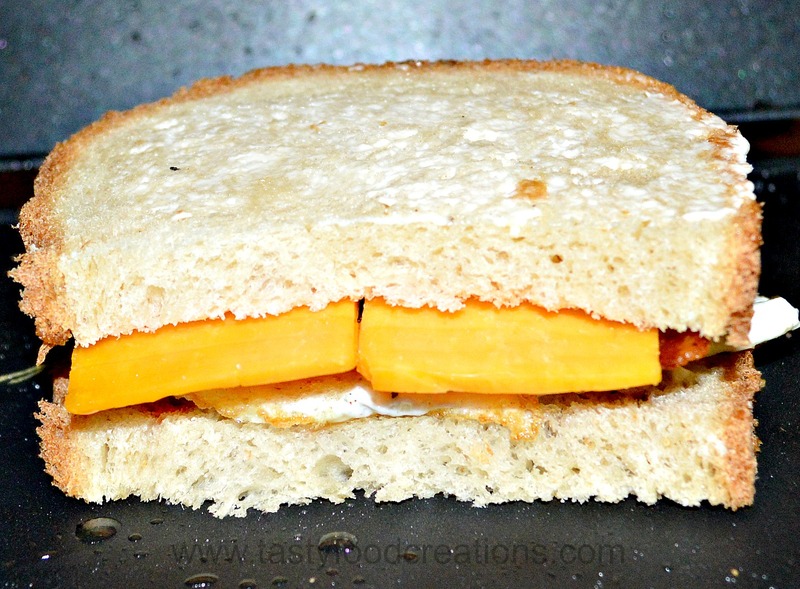 Close the sandwich and grill on both sides until both sides are browned and cheese is melted.